It seems, Shilpa is going to be the next Rekha Thapa in the Nepali movie industry. I reached to the conclusion based on the following similarity between the two. 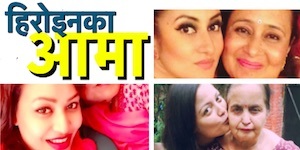 Similar looks – Shilpa Pokharel looks similar to Rekha Thapa. Debut movies – Shilpa started acting in ‘Lazza’ and Rekha Thapa in ‘Hero’. Both the movies were produced by Chhabi Raj Ojha. Both names are short names (2 and a half lettered and two lettered names). Actress of Chhabi camp – After ‘Hero’ all the movies of Chhabi featured Rekha in leading role (until divorce a decade later). After ‘Lazza’ all of his movies have featured Shilpa in leading roles. Producer in 4th movie – Rekha became the producer of Chhabi’s movie in her 4th movie with Chhabi, ‘Ajambari Nata’. Shilpa became producer of Chhabi’s movie in her 4th movie with Chhabi, ‘Mangalam’. Marriage/relationship – Rekha married Chhabi before the release of ‘Hero’. Shilpa started living with Chhabi before the release of ‘Lazza’ (Chhabi and Shilpa had publicly admitted that they were together at that time). Top actress – As, Rekha became one of the top actress in the Nepali movie industry, Shilpa is also going in the same path of being top actress. Although a couple of her movies with other producers flopped, all her movies with Chhabi had been successful so far. Marriage – Shilpa is yet to marry Chhabi. Although Chhabi has told that the marriage is confirmed and they have been living together for a long time, nothing can be said about their marriage. Banner Name – When Rekha Thapa started using her name as the presentation, she had already registered the production company named Rekha Film. But, Shilpa hasn’t registered the production house under her name. 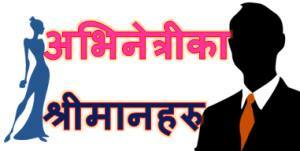 Although Shilpa Pokharel is named the presentation of ‘Mangalam’ the banner is Chhabiraj Production. Rekha was lucky to get the banner under her name because they needed to register a new banner at that time. Before Rekha Films, Chhabi used to produce films in a partnership under the banner name Namaste Nepal. After the partnership broke, they couldn’t use Namaste Nepal banner anymore and Rekha Films was registered. Now, there is no reason to cancel Chhabiraj Production and register Shilpa Films. Skin Show – Another difference is that Rekha became popular because of short dress and skin show. That is why Rekha was also named Dekha Thapa (Dekha means show). Shilpa has mostly been sober and simple when compared to Rekha. Controversies – Rekha knowingly used to create controversies. She is very difficult to deal with. Rekha is not in good terms with most of the actors and actresses in the film industry. But, Shilpa is different. She prefers to run away from controversies. There are no reports of her tussle with other artists in the film industry. 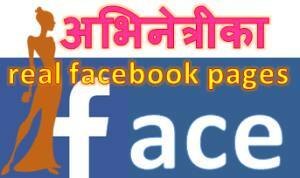 This entry was posted in Gossips and tagged Rekha Thapa, Shilpa Pokharel. Bookmark the permalink.